The Alewife is a species of herring which can live in both fresh and saltwater. The history of the alewife is a perfect example of the damaging effect of invasive species. 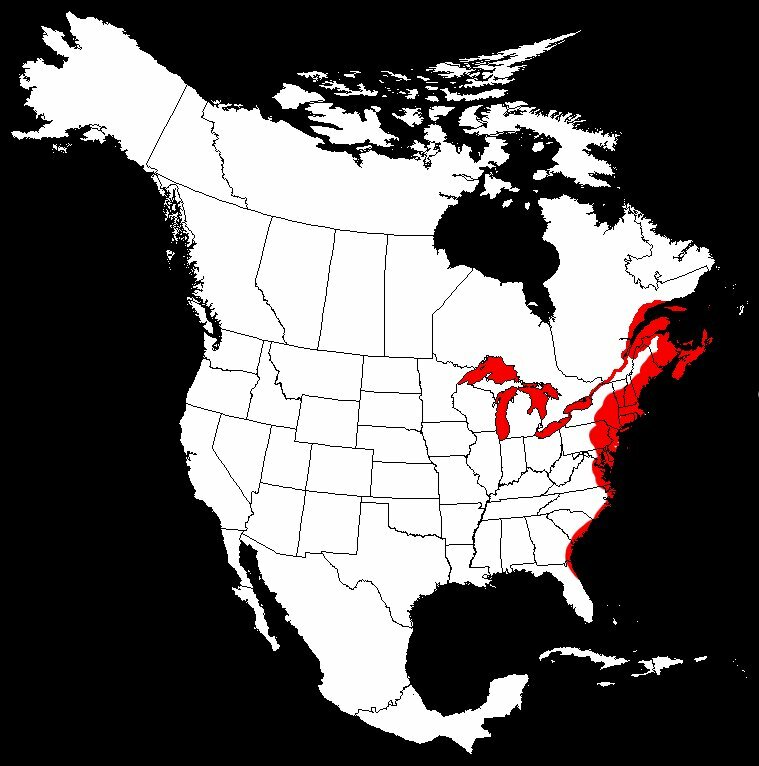 It is most famous for its invasion of the Great Lakes in central North America. When the Welland Canal was built, alewives quickly colonized the Great Lakes, becoming most abundant in lakes Huron and Michigan. The oily baitfish found the lakes to be a paradise, since the native predator species had been devastated by overfishing, pollution, and the invasion of another exotic species, the dreaded Sea Lamprey. Alewife populations exploded. Summer heat waves would cause die-offs, leaving foot-deep windrows of smelly, rotting alewives extending for miles along every beach. Managers tried to counter this by stocking Pacific Salmon into the Great Lakes. Lake Michigan at New Buffalo. Thanks, Professor!